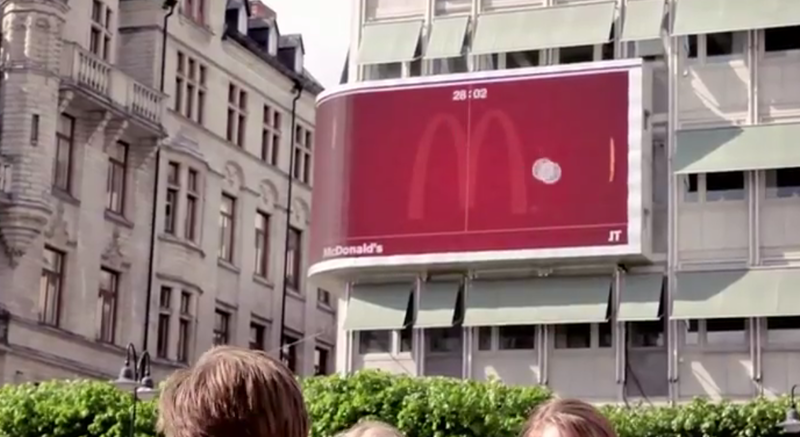 We thought we had seen every type of app and interactive billboard campaign under the sun until we came across this brilliant one from Mcdonald’s that the company ran in Sweden recently. The concept is a simple one in that users get to control the billboard and turn it in to a personal game. By completing the game in 30 seconds win coupons for free food in the nearest Mcdonald’s restaurant.